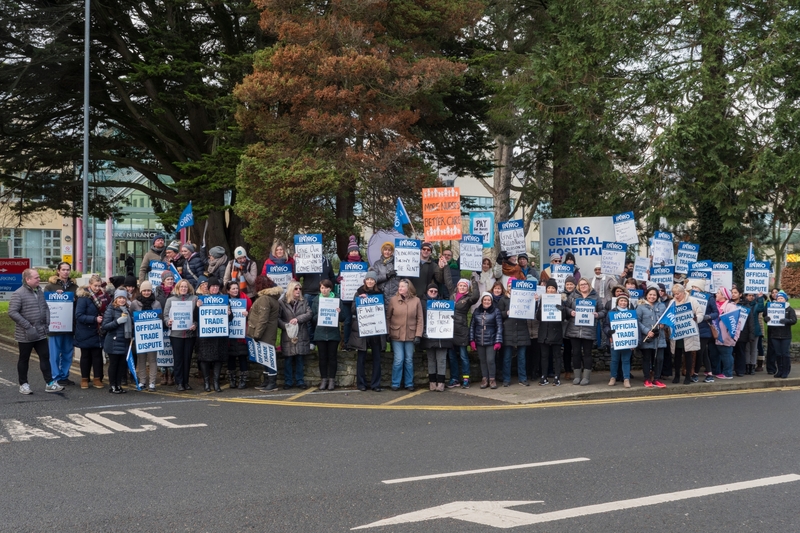 Nurses at Naas Hospital today began their first strike in two decades in freezing temperatures. 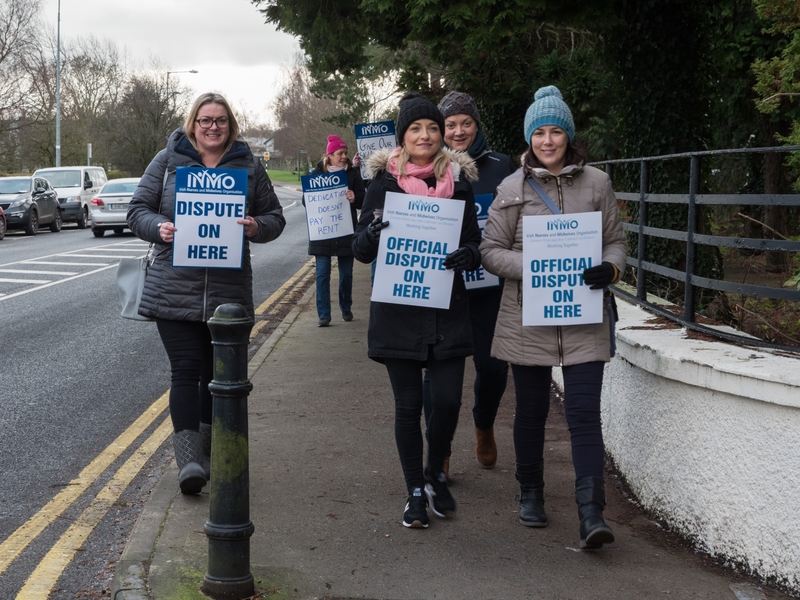 Some thirty members of the Irish Nurses and Midwives Organisation walked slowly between both entrances, carrying placards criticising their working conditions and what they say is a staff shortage at the hospital. The protests began at 8am on one of the coldest days this winter and continues to 4pm. Nurses at the hospital say there is insufficient nursing staff deployed there which means that many shifts are understaffed. 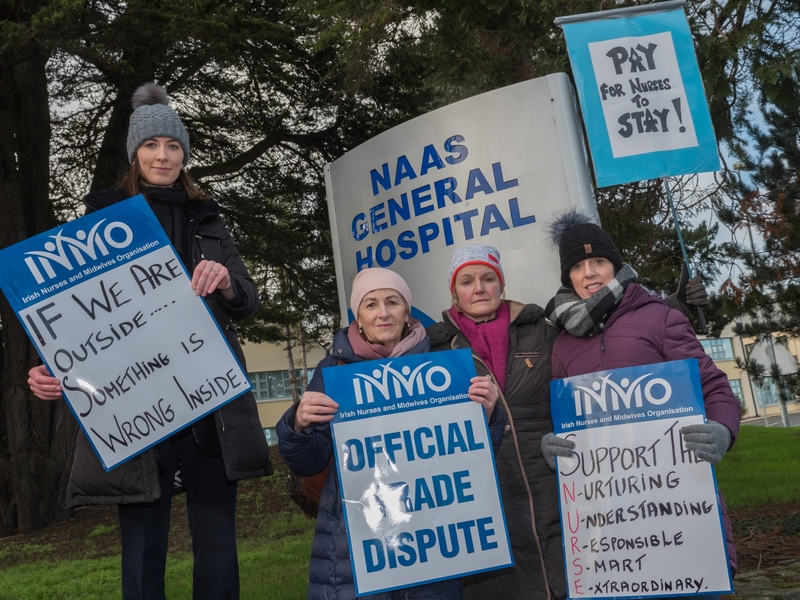 There is considerable public support for the nurses in Naas if the reaction of the public is anything to go by. The vast majority of motorists sounded their horns as they drove past past. 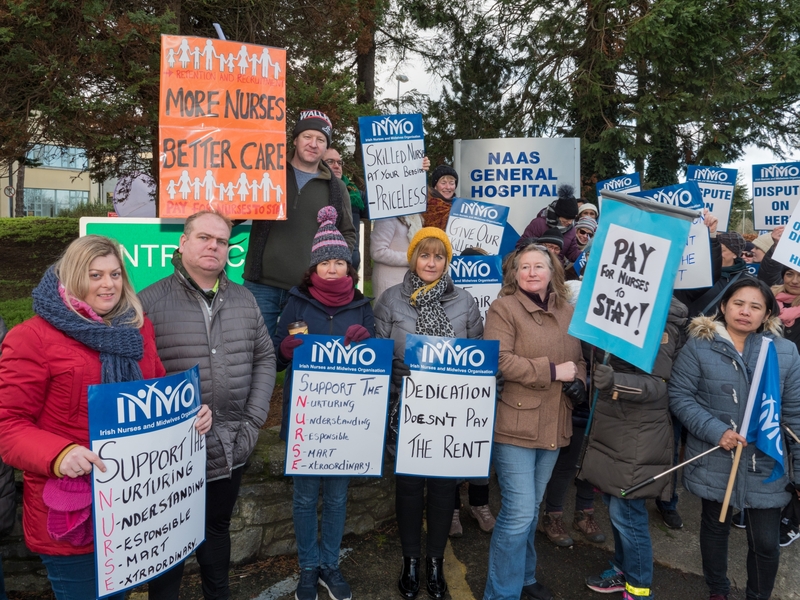 According to the INMO strike action was necessary after eight hours of talks between it and management failed to find a resolution on Monday. Hospitals around the country are being picketed today. The union says the number of hospital beds has fallen by 6% between 2008 and 2018 despite the fact that the population is ageing and growing. More industrial action is scheduled for later this week and next week.